Running a household of any size can seem like a part time job at best. We have tried and tested some of the best apps out there that makes our home life a little easier. Check out our list of the top 10 must have homeowner apps. Got an odd job that needs to done in a pinch? Handy is great service that allows you to find a vetted professional to hang that new flat screen TV or fix your busted toilet! Much like Handy, this company can help you find workers who will give you an extra hand putting together your new IKEA furniture or getting a deep clean of your house after your big party! Next time you need some help, give TaskRabbit a try. Minimalism is a trend that has sweeping through the country with people tossing out their old cd albums and that guitar they haven't touched in 2 years. Want to make a little money while "clearing out" your house. Decluttr gives you a place to make some money for the stuff you'd throw in the dumpster. Gone are the days of the $5,000 grainy security system! 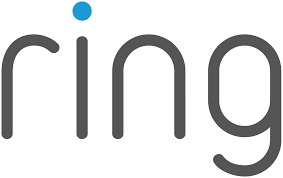 Ring has HD cameras as low as $99 that connect to the cloud and can be assessed with your smart phone. Live in a safe area? You now have an excuse to spy on your pets! Smart thermostat=a no-brainer! Energy costs can put a huge dent in your monthly budget. Nest can sense when someone leaves the room and turn off automatically. You can also control these devices with your smartphone remotely. A go-to app for anyone who is crunched for time. Quickly pick together your shopping lists from stores like Whole Foods and a instacart shopper will pick up your groceries for you! Who wouldn't want an extra 2 hours to their week! I, like many, have 3 go-to meals that I have been cooking for 20 years! Having watched 2,000 episodes of cooking shows, I wanted to broaden my culinary horizons. I came across Blue Apron after hearing about it on a podcast. A rotating, international menu comes to your front once a week with 3 simple 30 minute meals! For those of you who couldn't bother making your own meals and don't want greasy pizza to arrive at your front door. You have options. 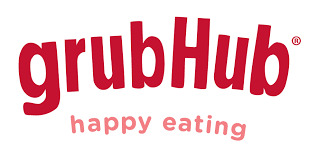 Apps like grubhub allow you to choose from dozens of various, local establishments with a small delivery fee! Plus no dishes to clean! Rushing out for the weekend with friends and family? Hotel is booked. Car Rental is set up. Tickets to the big show are downloaded. But Fido is wagging his tail a you. 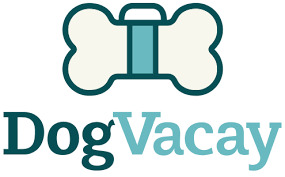 DogVacay has you covered here! Pet-loving experts will take care of your 4 (or 2) legged friends while your out of town! Who wants to get commute across town next time you have an achy back. 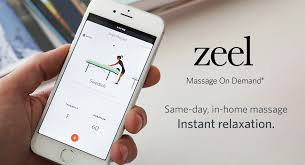 Avoid this by booking your very own personal, professional masseuse with zeel at a reasonable price(tip included!) Give it a try next time you need to unwind from work (and traffic)!